Dr. Matz has been in the healthcare field for over 25 years and has vast experience with the western medical health care approach as well as alternative & natural approaches. She is a Doctor of Chiropractic, a Chiropractic Acupuncturist, a Massage Therapist a Board Certified Clinical Nutritionist, and a Practical Nurse. With her extensive experience, Dr. Matz has developed a concussion protocol that has been phenomenal and dramatically successful for pain, headaches, dizziness, balance issues, ringing in the ears, neck pain, back pain, TMJ dysfunction and so on. She is able to select the best options from multiple modalities to tailor treatment protocols to each individual. This strategy has been instrumental in her success with patients with Concussion / MTBI symptoms. Through professional and personal experience she understands the needs of patients & their families. As a teenager, her mother suffered a brain aneurysm and was in a coma for 8 years. She has compassion understands brain injury from a family members perspective as well as from the patient perspective as she too suffered an MTBI a few years back, and has overcome the symptoms and complications. She is passionate about bridging the gap between the two medical care paradigms and bringing her empathy, compassion and broad medical knowledge to help patients in need. On your first visit, we will review your records, obtain a thorough history and examination and make necessary referrals for diagnostic tests such as X-Rays, MRI, CT scan and referrals to specialists. Muscle tension and trigger points contribute to Concussion symptoms. Trigger point therapy, Graston Technique, Myofascial release, Ultrasound, use of heated stones, and Chinese Cupping are used to release and remove tension held in muscles and the structure of the upper back, neck, jaws, face and head. Some of the exact same symptoms that are being diagnosed as a concussion and vestibular injury can be coming from misalignments in the upper neck. Most of the time, if there is a head injury there is also neck injury involvement, even if the patient isn’t experiencing neck pain. The alignment of the neck is extremely important when it comes to dizziness, headache, ringing in the ears and other symptoms related to head injuries. 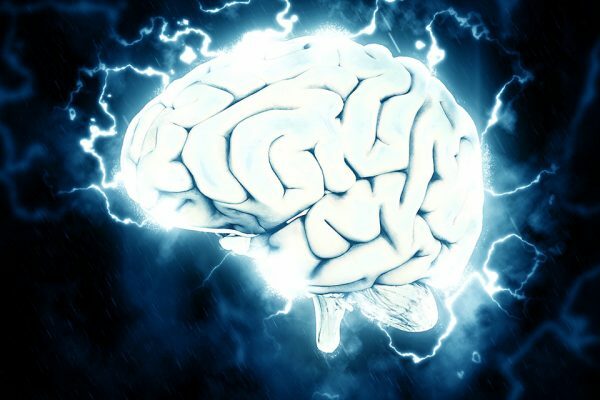 This therapy has been shown to dramatically accelerate ATP (healing energy) production in the body (upwards of 500%) and has had a phenomenal effect in treating concussion and vestibular injury symptoms. This adjunctive therapy has shown documented improvements in symptoms such as dizziness, pain, and headaches, improvements in EEG results, IMPACT testing, and Neuropsychological Exam results. Direct work on muscles and bones of the head and skull increases circulation and blood flow and accelerates healing. By loosening the muscles and refining alignment in this area we see a decrease in painful muscle spasms, headaches and symptoms of dizziness. Dizziness, headaches, ringing in the ears, and pain around the eyes can also be coming from the much used joint of the jaw. This area can replicate the exact same symptoms as someone with a concussion/vestibular injury and therefore also needs to be assessed and treated. Acupuncture is an important tool in aiding in endorphin release, decreasing inflammation, boosting immune system response, increasing circulation, relieving pain, and muscle spasms. This modality is has been very helpful to decrease concussion symptoms such as dizziness and headaches. The brain thrives on oxygen & nutrient rich blood for energy, memory, and cognition. Anytime there is an injury, the human body and brain heal most optimally if you can flood the system with the oxygen & nutrients it needs to heal. Oxygen Therapy & Nutritional supplementation coaching on “brain power foods” are essential to aid in full recovery.